Some guys at Deviantart are busy replicating Windows 8 Metro style for Windows 7. 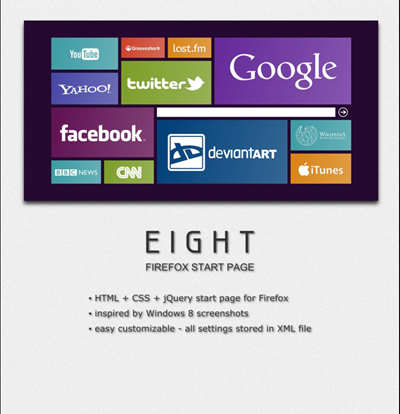 DA user flatmo1 has created a start page for browser inspired by Windows 8.The start page is created using HTML + CSS + jQuery and is highly customizable. You can easily edit the links by just modifying the XML files.